Theologians have long assumed that Karl Barth's doctrine of election is supralapsarian. 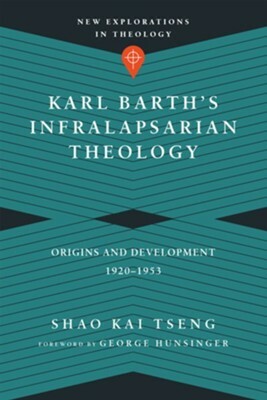 Challenging decades of scholarship, Shao Kai Tseng argues that despite Barth's stated favor of supralapsarianism, his mature lapsarian theology is complex and dialectical, critically reappropriating both supra- and infralapsarian patterns of thinking. 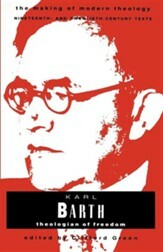 Barth can be described as basically infralapsarian because he sees the object of election as fallen humankind and understands the incarnation as God's act of taking on human nature in its condition of fallenness. Tseng shows that most of Barth's Reformed critics have not understood his doctrine of election accurately enough to recognize his affinity to infralapsarianism and, conversely, that most Barthians have not understood Reformed-orthodox formulations of election with sufficient accuracy in their disagreement with the tradition. Karl Barth's Infralapsarian Theology offers a clear understanding of both the historic Lapsarian Controversy and Barth's distinct form of lapsarianism, providing a charitable dialogue partner to aid mutual understanding between Barth and evangelicals. Shao Kai Tseng (DPhil, University of Oxford) is assistant professor of systematic theology at China Evangelical Seminary in Taipei, Taiwan. He is the author of a chapter in the Oxford Handbook of Nineteenth-Century Christian Thought, as well as several books and scholarly articles in both English and Chinese. Previously he served as a pastor at Faith Chinese North American Baptist Church in his hometown of Vancouver, British Columbia. 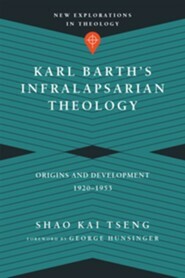 Through a detailed study of the development of Karl Barth's theology against the background of the Lapsarian Controversy of the seventeenth century, Tseng shows that Barth's professed 'purified supralapsarianism' is in fact a transformed vision of Christology and predestination in which both infralapsarian and supralapsarian elements play an important role. Tseng's headline claim that Barth's mature view is best described (contra Barth himself) as 'basically infralapsarian' is and will no doubt remain controversial. 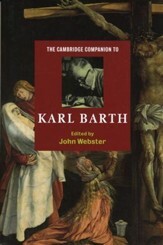 Yet at the same time, his fine-grained presentation of Barth's Christological doctrine of election as a dialectical admixture of supra- and infralapsarian patterns of thinking builds a persuasive case and, moreover, models a hearty mode of theological inquiry that is refreshing in an era grown chary of dogmatic reflection. Swimming against the currents of common opinion, Shao Kai Tseng offers a fresh and provocative argument that Karl Barth was not a supra- but infralapsarian. Such a claim will undoubtedly raise eyebrows, but Tseng presents a convincing case rooted in a careful analysis of the original seventeenth-century debate and Barth's own extensive writings. Without hesitation I can say that this is a must-read book for anyone who wants a better understanding of Barth's theology. But this book is also important for anyone who wrestles with how to explain God's relationship with fallen humanity, the doctrine of Christ, time and eternity, and election and salvation. Shao Kai Tseng's text is a most impressive piece of scholarship. His topic of predestination, with a focus on Barth, chimes in with the important debate in Barth scholarship on election in relation to Trinity. This book will take its place as further evaluation and revision of the interpretation of predestination in Barth's theology. I commend the work by this emerging Asian theologian wholeheartedly. Shao Kai Tseng's new book tackles a problem that many have regarded as metaphysical and, as such, impossibly obscure. However, Tseng's study shows not only that the choice between a supralapsarian and infralapsarian view was of perennial concern to Barth but that it also dovetails with central aspects of his christological thinking. Tseng approaches the subject by means of a careful scrutiny of key texts as well as of relevant secondary literature. He has an exceptional and welcome ability to juggle the highly technical vocabulary of Reformed dogmatics in such a way as to show how the issues are of importance to all Christian thought. Was God's original will to enter into covenant relations with his creatures an act that took place because of the fall or irrespective of the fall? The answer that this significant study provides is that it is both, with more weight attached to the latter view. Ordinarily one might wonder what the relevance of a study of Barth's supralapsarian and infralapsarian emphases might be both for Barth scholars and the church. In this carefully argued, well-researched and well-documented exploration of the development and implications of Barth's doctrines of election and Christology, Shao Kai Tseng demonstrates exactly why such a study is important. We learn exactly how Barth could forcefully present the power of God's grace by focusing on Jesus Christ as 'electing God and elected human,' rather than on a decretum absolutum, while at the same time taking account of God's good creation as it is menaced by sin and death. Since God is really free as the one who loves within the immanent Trinity, we know that God's love of the world in election and incarnation is effective for all, just because God's self-determination to be for us is irrevocable as an action of love that corresponds perfectly with God's self-sufficient act of love in the freedom of the immanent Trinity. 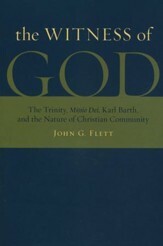 This is certainly a book that Barth scholars will want to read and discuss. But it is a book that will engage and inform all theologians who are concerned about how to understand God's love and freedom for us today in a way that does justice to both God's love and God's freedom. I'm the author/artist and I want to review Karl Barth's Infralapsarian Theology: Origins and Development, 1920-1953 [New Explorations in Theology].